In the year 2016 IIT Mandi has seen continual growth and has begun making its mark in the world. The Year 2017 holds promise of much more progress and excitement. Below are some of the highlights of the Old Year and our goals for the New Year. Visitors to IIT Mandi often marvel that it must be very challenging constructing campus buildings in this remote river valley in the Himalayas. Truth to tell, the buildings are the easy part. Much more important and more difficult is making these new buildings in these green fields into a vibrant living and working space. Architects and civil engineers have the National Building Code and assorted other rules and regulations to guide them in construction of the buildings. There are no such codes, rules and regulations that govern how to make them “home”! As an example, consider the plight of most of the IIT community who come from the warmer plains of India. While most students go away for the winter break, families and research scholars have to stay on campus as research is a year-round pursuit. Many are ill-prepared to withstand the bitter cold of December and January. Enter the “Winter Warmth Cafe” in the Faculty/Staff Recreation Centre. Run by volunteers, this Cafe offers fresh homemade cakes and other snacks with fresh filter coffee and an assortment of teas. 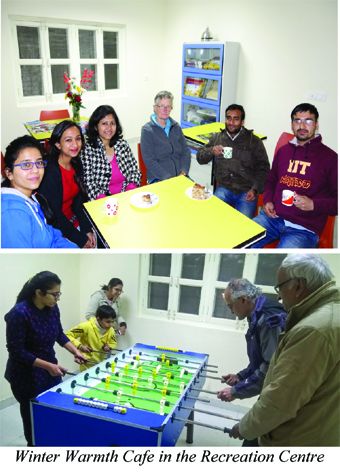 The faculty, staff and research scholars enjoy stimulating discussions over the hot snacks, accompanied by vigourous games of foosball, caroms and pool. The Centre also has an assortment of magazines and board games. 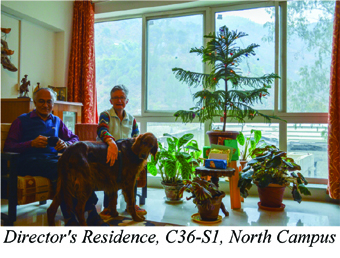 Our care for the living environment includes a variety of amenities: daycare centres for infants, nursery and primary school for older children, shops selling local vegetables, fresh fruits, provisions, stationery and IIT memorabilia, an assortment of canteens, indoor and outdoor sports facilities, etc. The Faculty/Staff Recreation Centre was inaugurated on 29 October 2016 to be a focus for campus families to gather. Each of these has been started and nurtured thanks to unflagging attention by the faculty and staff, and a few students, who champion a particular facility. were immersed into a variety of activities including sports, yoga, exploration of engineering, English communications, life skills and human values. They attended lectures by eminent speakers from academia and industry, visited orphanages and old age homes, and worked in the Mess. The 5WIP programme was run by about 60 of our faculty and involved students working in small groups of 20. One of the key benefits of small group activities was the bonding amongst diverse students, and the bonding between students and faculty. These interpersonal relationships will certainly improve the quality of the BTech experience. The BTech 2016 batch embarked on their studies from September better prepared and with clearer ideas of their future career options. In January, our students hosted the 4th Inter-IIT Tech Meet at Kamand. This was the first inter-IIT event hosted at IIT Mandi. Teams from 9 IITs participated in a variety of technical events. The visitors also experienced hiking in the mountains of Kamand. In September, we hosted our annual inter-collegiate sports meet Rann Neeti fully in the new facilities in Kamand. A dozen teams from Himachal and Punjab participated. We have also started guitar and yoga classes, and encourage brisk walks to beat the winter cold. 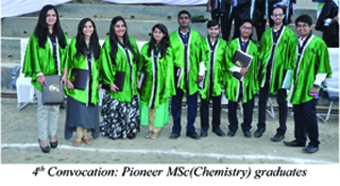 In the 4th Convocation on 14th October 2016, IIT Mandi graduated its first batches of MSc(Chemistry) and MTech(Energy Engineering) students. We started new masters programmes in Biotechnology and VLSI. 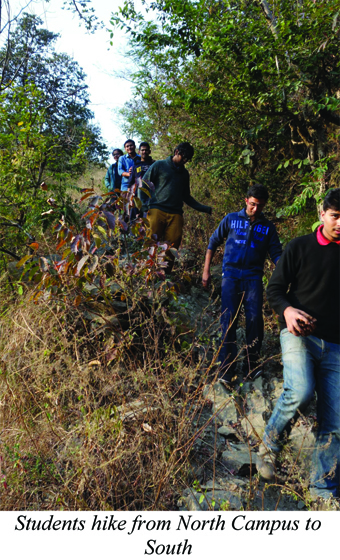 Ongoing programmes have been growing in student numbers. IIT Mandi now has 486 alumni: 16 PhDs, 32 MS, 10 MSc, 3 MTech and 425 BTech. 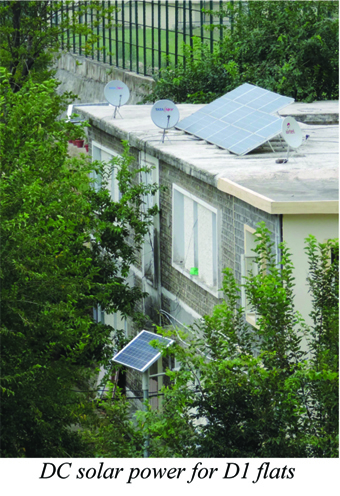 of research carried out by young researchers and faculty members at IIT Mandi. In pursuit of our vision of working for society, our faculty have been taking up R&D projects with industry. 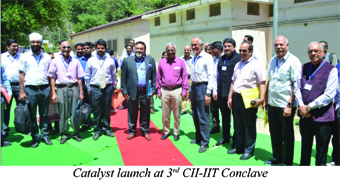 On 15 May this year Prof Ashok Jhunjhunwala launched the IIT Mandi Catalyst, our technology business incubator. This event took place during our 3 Industry-Academia Conclave, jointly organised with CII Northern Region. With funding from DST, Vishal Bharat Comnet and IIT Mandi, Catalyst aims to incubate technology startups by our students, faculty and people of the region. During 2016, our faculty received sanction for industry-oriented R&D projects worth Rs. 9 crores under the UAY and IMPRINT schemes. A related endeavour is EWOK (Enabling Women of Kamand). 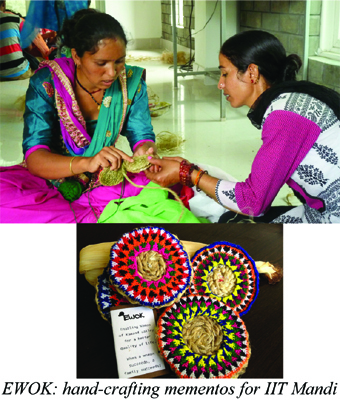 Started by some women faculty and campus residents under the aegis of our Women's Centre, this project aims to help village women in the the Kamand Valley to develop employable skills and to start village-scale enterprises. Using the Internet and the pervasive mobile network, these enterprises would serve both local and global customers, building on traditional strengths. EWOK grew out of ISTP projects done by 3 BTech students over a period of 2 years. We are proud that IIT Mandi was the first of the rd new IITs to occupy its permanent campus in 2012. Following an incremental build-and-use strategy, our entire BTech programme has been run in the Kamand South Campus since 2015. In 2016, we started using the North Campus. Early in the year, the new campus school building was occupied by the IIT Mandi Takshila School, which had grown to about 90 students from pre-nursery to Std V. Many of these students hail from surrounding villages. Several are given scholarships by IIT to enable them to attend our school. In August, the incoming MSc and MTech students became the first students to occupy the North Campus. They were joined by myself, my wife and our dog Rusty, plus about 20 faculty and staff families during October to December. With a canteen, provisions and vegetable stores, and a variety of roads and paths for invigourating walks, the North Campus has taken on a life of its own. With all these facilities built up over year, it is no wonder that visitors confide to us that today IIT Mandi has the most liveable campus of any new IIT! In 2017, the IIT Mandi community will strive towards our vision of serving Indian society through our academic endeavours, and to making our Kamand campus the destination of choice for the best students and faculty. To these ends, the Deans Committee has put together a set of targets for 2017. The targets below are measurable and minimum, we will strive to exceed them. In 2017, I look forward to working with every one of the faculty, students and staff of IIT Mandi and with well-wishers elsewhere in scaling ever more imposing heights. Striving together, we will prove that the serene Uhl River Valley in the Himalayas is an ideal location for world-class research, learning and innovation, for the benefit of India! With Best Wishes for a Happy and Rewarding New Year.